I’ve had another busy, but very fun, week…and here’s what I’ve been up to. Spent most of the weekend working…catching up on emails and writing blog posts, as I knew that it was going to be very busy at the beginning of the following week. Also popped to the local garden centre to buy some pretty deep pink geraniums, which I planted in a terracotta trough and placed on the kitchen window sill…to add a bit of colour when we’re sitting at our kitchen table. In the morning, I wrote blog posts and dealt with emails. Also signed into the Blogging Your Way on-line course which I’m currently attending. 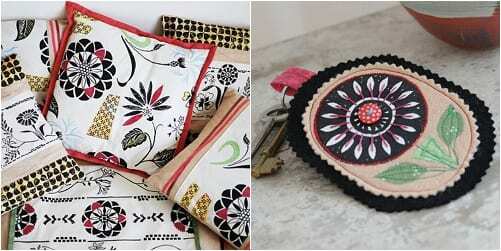 In the afternoon, I went to the Pulse trade show in London on the look-out for floral-inspired creations. And I met up with my sister-in-law who’s thinking of taking a stand at the show next year. It was great to see so many familiar faces, put faces to names of people I’d previously only sent emails to and also meet some new people. In the evening, I met up with some neighbours to organise our belated Jubilee party which is taking place tomorrow. I’m keeping my fingers crossed for sunshine….or at least a dry day. In the morning, I went to the Laura Ashley Press Event for Autumn/Winter 2012. They’ve got some beautiful products lined up for next season and I plan to blog about some of them on Monday. It was lovely to catch up with their Social Media Manager, Kate, and also meet Angel from Vintage Patisserie. In the afternoon, I caught the train to Birmingham to attend the Press Preview for the BBC Gardeners’ World Live show at the NEC. We were given a great tour of all the gardens and had the opportunity to take photos before the doors opened the following day. Plus we were able to speak to some of the garden designers. In the morning, I went to a Cath Kidston Sample Sale in London and also popped into their newly refurbished Marylebone High Street store. Spent the afternoon processing photographs, writing blog posts and dealing with emails. Plus chased a few contributors for a magazine article. Also, looked into some more of the functionality of Instagram, an app which allows you to take pictures on your iPhone. 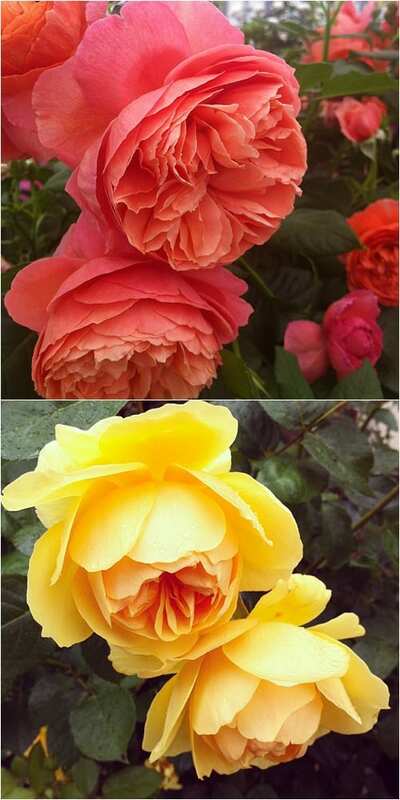 The rose and peony images in today’s blog post are all taken using my phone. Had a call with my garden designer friend Lisa Cox to discuss next month’s Garden Flowers blog post. Was approached by a company, who I highly regard, to be a guest blogger…will tell you more when I can. Went to a zumba class in the morning and then in the afternoon, wrote blog posts and dealt with emails. Plus emailed over final copy and images for a magazine column, and logged into Blogging Your Way class. 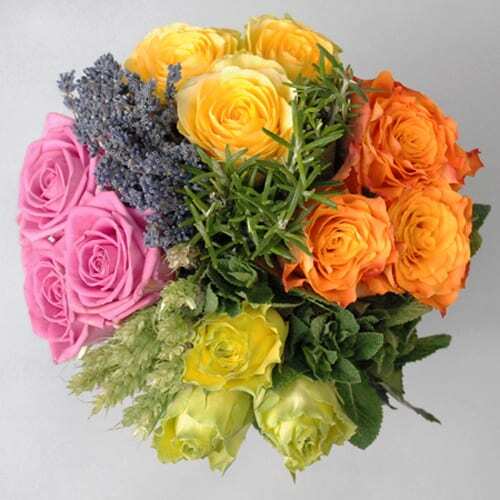 The most popular blog post this week was Jane Packer’s Victory Bouquet for medal winners at the London Olympics 2012. 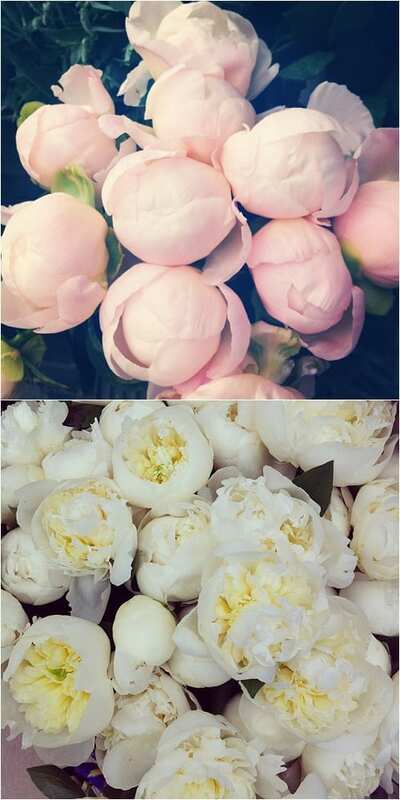 On the Heart Home blog, I featured Floral-inspired home accessories from Astrid Weigel. 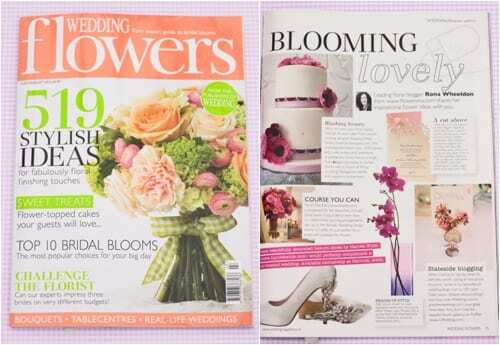 The new July/August issue is now out and features my ‘Blooming Lovely’ column. 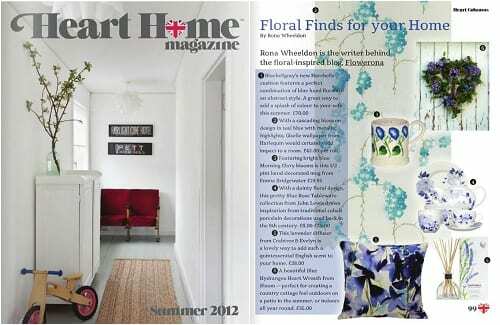 The new summer issue of Heart Home magazine is now online and features my column. So, I hope you’ve enjoyed reading today’s blog post. Hi Caroline. Many thanks for popping by Flowerona. I certainly know the feeling :-). Sounds like you’ve had a great week. 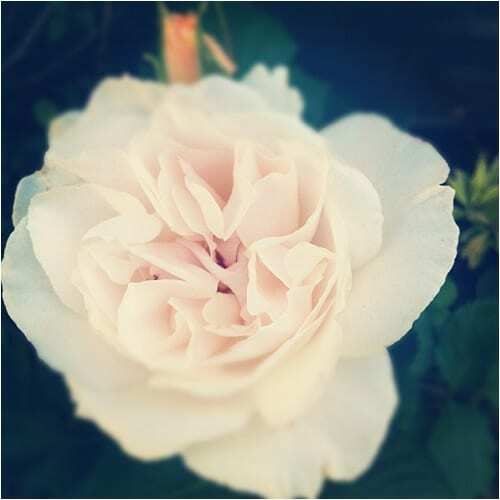 Loving your instagram photos – its a great little app and have fun on the BYW course, I did it last year -very inspirational. Thank you for linking to my blog post too, have a fab weekend. You’re very welcome Andri and thank you for your lovely comment :-). Thank you very much Geraldine for popping by Flowerona :-).